That's that look that send Vinny Mac into involuntary spasms. It's the look that's got many a WWE superstar hired. But it's also the look that's been all a lot of those superstars have had. And as we've learnt the majority of fans won't take to big muscly blokes with no wrestling skills. But here's the thing. Alongside that look, Uhaa has been one of the best wrestlers on the independent scene in recent memory. From mixing it up in Japan for Dragon Gate, England for Preston City Wrestling or America for EVOLVE, Uhaa has proven to some of the toughest fan-bases in the world that he's deserving of their affections. Many wrestlers have found the formula to appeal to one market, it takes a special talent to find it for three. That formula for Uhaa is a combination of impressive power and mesmersing speed, that come together to create something very special indeed. Uhaa is equally comfortable hitting a standing shooting star press as he is a power slam. That's something that a bloke who rocks the scales at over 260 lbs just shouldn't be able to do. Uhaa Nation is a freak of nature. A glitch in the matrix. 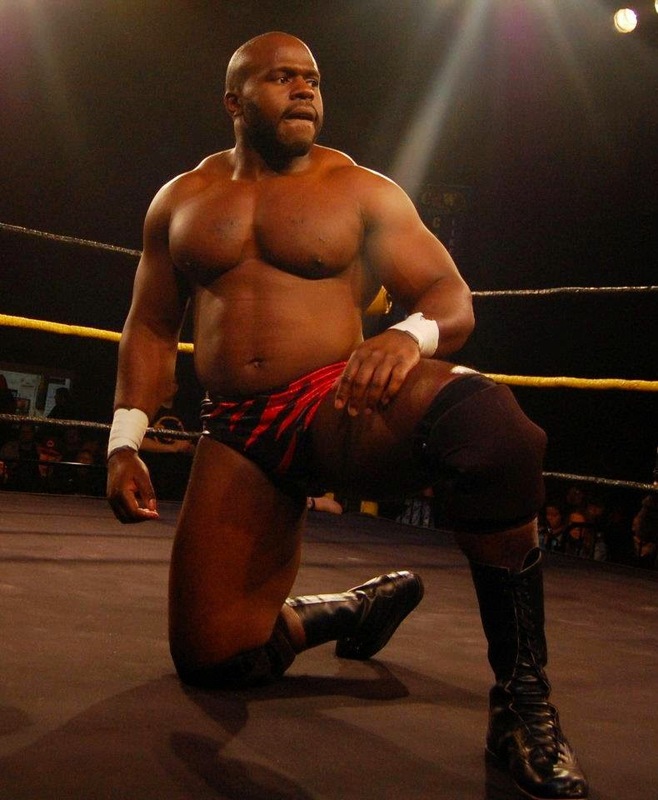 So what kind of impact can we expect from Uhaa when he makes his debut on WWE NXT in the near future? There's an endless line of dream matches for Uhaa to run through. A battle with Hideo Itami would surely ruse the interest of the Japanese market with each man's history, whilst also offering an intriguing dynamic between the two, with Itami perhaps unable to use his pace to his advantage against the bigger man. Finn Balor would offer a similar situation, and again it's surprising that no one has ever booked these guys opposite each other! Current NXT Champion Kevin Owens would surely have some to say about the arrival of Uhaa. The two's styles could clash, but Uhaa's not afraid to brawl and we've seen Owens loves a flippy flip from time to time also. Owens adversary Sami Zayn would make an interesting opponent, but perhaps an even more interesting tag team partner. The pair have similar demeanours and the mixture of power and agility could make them one of the best teams to watch in WWE. The list goes on... Kalisto...Adrian Neville...Solomon Crowe...Tyler Breeze...heck why not even Enzo Amore could all make for terrific opponents for The One Man Nation. That's before we even start looking at the main roster...Cesaro...Daniel Bryan...Seth Rollins...Dean Ambrose...Randy Orton all would offer different styles of opponents and matches. But I'm getting ahead of myself and getting the wrestling equivalent of a chub on. Of course, very soon Uhaa Nation will be no more and TAFKA Uhaa Nation will be rechristened. We'll get used to the name, we'll get used to seeing him on our TV and I'm certain he'll fit right in with the talented crop that's currently residing in the Performance Center. All that's left to do wish Uhaa the best of look in the next chapter of his career.